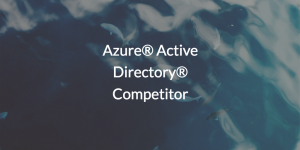 Many consider Microsoft® Azure® Active Directory (AD) an industry juggernaut when it comes to cloud user management, especially in Windows®-based environments. While Azure AD is good at managing all things related to Azure, it is not the cloud replacement to the original Active Directory® many thought it would be (Spiceworks). So, many IT admins are wondering if there is a viable Azure Active Directory competitor on the market today. In order to get to the bottom of this question, let’s look at the beginning of directory services as a whole. Microsoft has owned the on-prem directory services market for almost twenty years now. When they introduced Active Directory in 1999, it quickly became the standard identity provider and quickly dominated the entire market. Some estimates even place usage at over 95% of organizations that want on-prem directory services. Microsoft’s dominance in the operating system and productivity suite spaces reinforced the benefits of AD, which in turn reinforced the decision for IT organizations to standardize around Windows-based systems and applications. This approach to the market worked well for Microsoft for a number of years. Then, as the IT landscape started to shift to new, emerging solutions such as Google Apps (now called G Suite™), AWS®, and Mac® and Linux® systems, IT admins started to struggle. They couldn’t easily connect their users to all of the IT resources they needed, including web applications and new approaches to file storage (e.g., Samba file servers and NAS appliances). Microsoft realized that they were losing to the shift to the cloud. Their response was the Azure cloud platform, which includes Azure Active Directory. With the name, the first inclination is to think that it is the cloud version of the original AD. That, however, is not the case. Azure AD is more akin to a user management system for Azure systems and services as well as a web application single sign-on solution. This is because a key part of Microsoft’s approach is actually to leverage on-prem AD in conjunction with Azure AD to create a combined solution. This is unfortunate for a couple reasons. Azure AD doesn’t offer Organizational Units, authentication to on-prem systems such as Mac, Linux, and non-Windows 10 systems, control over AWS or GCP cloud servers, on-prem WiFi authentication via RADIUS, on-prem LDAP application support, and a few other features that many have come to depend on with an identity management solution. Because of this, IT organizations need both Active Directory and Azure AD to maintain control over the Windows systems, applications, and other resources used in their environment. They still end up having one foot tied to their on-prem identity management infrastructure. Additionally, both of these Microsoft solutions are still Windows-centric. Organizations continue to struggle managing cloud servers like those hosted in AWS, Mac, and Linux systems, and other non-Windows IT resources. This is why IT admins are asking whether there is an Azure Active Directory competitor that can function more like a neutral, cloud-based version of Active Directory. The good news is that JumpCloud® Directory-as-a-Service® is a cross-platform, vendor neutral cloud directory service. 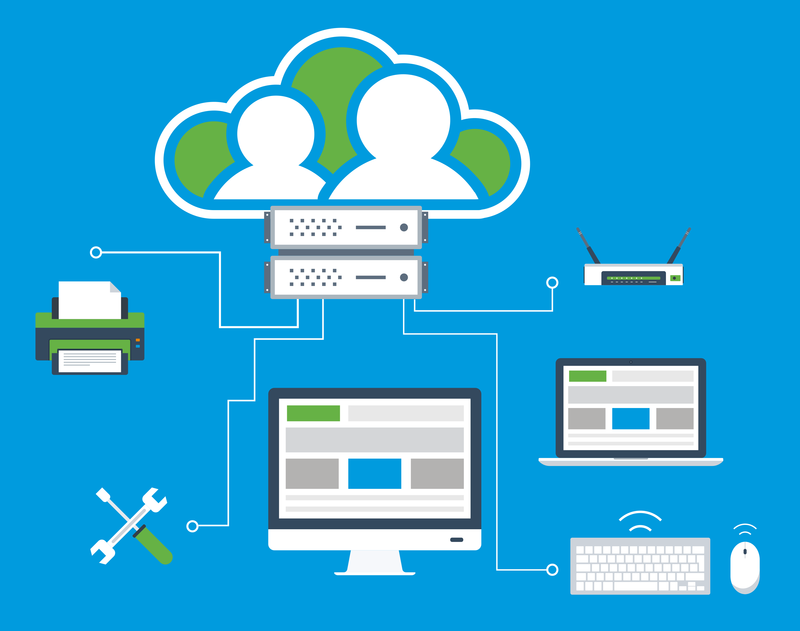 With our cloud identity management solution, IT admins can securely maintain their users identities and their access to Windows, Mac, and Linux machines, local and cloud servers, legacy and web-based applications, physical and virtual file storage, and wired and wireless networks. Essentially, JumpCloud is creating a True Single Sign-On™ experience that improves on that of the original Active Directory by providing users with seamless access to virtually all of their IT resources. 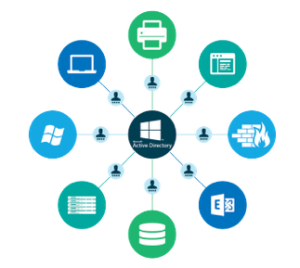 For many IT admins today, JumpCloud Directory-as-a-Service is the viable, more comprehensive Azure Active Directory competitor they have been looking for in this rapidly changing IT world. Is it right for you? See for yourself, and try it today with your first ten users free forever. Also, if you have any other questions about JumpCloud Directory-as-a-Service, be sure to watch the video below, or contact us. Our experts would love to help.